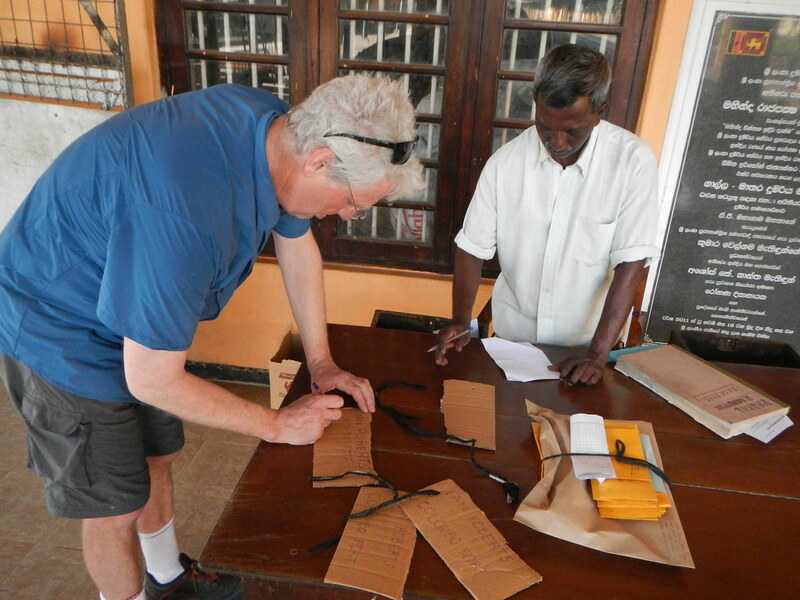 Taking the train from Galle to Colombo involved another luggage office experience – adjustable date stamp and stamp pad, double carbon paper to produce the triplicate form, flaps torn off cardboard box to create the luggage labels. It all worked perfectly. Seats cannot be booked on many trains and getting them is not easy. We managed one between us. 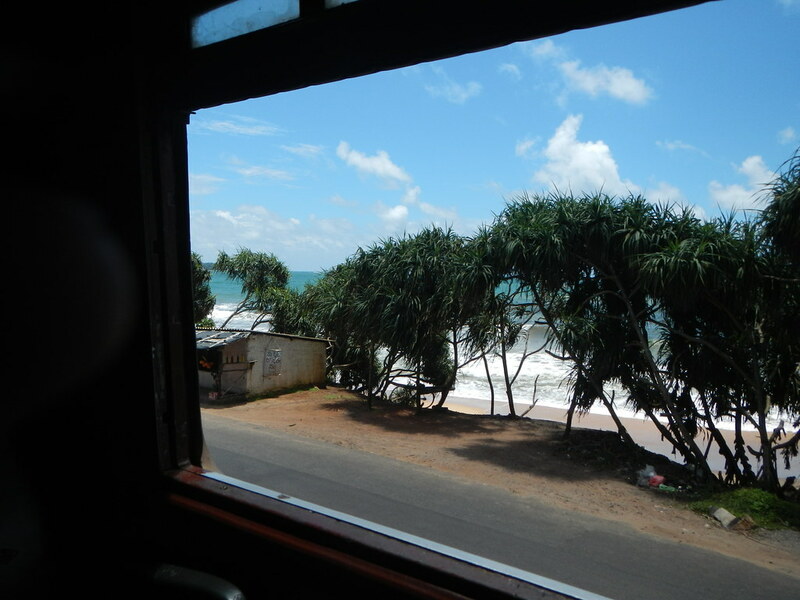 The train line follows the coast, sometimes only a few metres from the sea – easy to see how the tsunami caused a terrible disaster with train and passengers. After arriving at Colombo Fort we had to find our accommodation. A long ride through crazy traffic ensued until we eventually found it. The back streets are quiet and pleasant but not useful for crossing town. The search for dinner took us on another adventure by tuk tuk, firstly to the wrong place (major international hotel with poor service), then to traditional Sri Lankan restaurant that didn’t serve beer. On the way back the traffic was still terrible and our tuk tuk driver alarmed me by driving on the wrong side of the road with oncoming vehicles in preparation for making a RH turn. Yikes! This entry was posted on 23 September 2015 at 12:34 am and is filed under Sri Lanka. You can follow any responses to this entry through the RSS 2.0 feed. You can leave a response, or trackback from your own site.